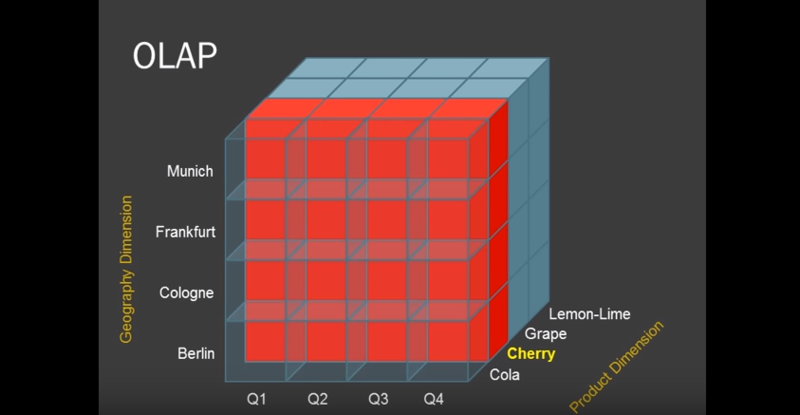 OLAP (Online Analytical Processing) was introduced into the business intelligence (BI) space over 20 years ago, in a time where computer hardware and software technology weren't nearly as powerful as they are today. Back then, given the circumstances, OLAP was groundbreaking. It introduced a spectacular way for business users (typically analysts) to easily perform multidimensional analysis of large volumes of business data. In analytics, it is often required to aggregate, group and join data. These operations represent the most difficult types of queries for a relational database to process. Therefore, the magic behind OLAP derives from its ability to pre-calculate and pre-aggregate data. The ability to pre-calculate and pre-aggregate data is the fundamental enabler of OLAP-based BI solutions, otherwise end users would be spending most of their time waiting for query results to be returned by the database. However, it is also what causes OLAP-based solutions to be extremely rigid and very IT-intensive. OLAP requires restructuring of data into a star/snowflake schema - complicated! Changes to an OLAP cube requires a full update of the cube - lengthy process! Similar to OLAP-based solutions, Sisense is a Business Intelligence software designed to enable solutions where multiple business users perform ad-hoc data analysis on a centralized data repository. On the other hand, Sisense does not achieve this by pre-calculating query results, but rather by utilizing state-of-the-art technology called ElastiCube. It is a sophisticated columnar database, which was specifically designed for Business Intelligence solutions. Its unique storage and memory processing technology radically change the way business intelligence solutions access data.